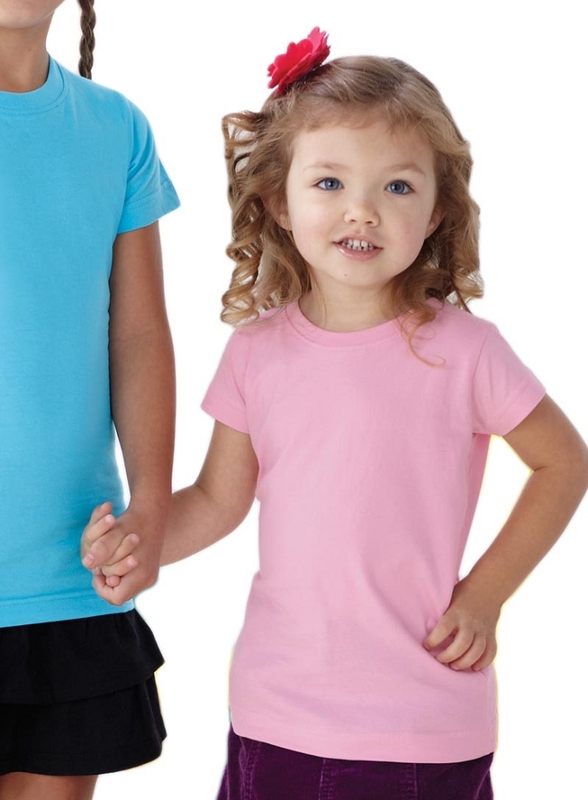 A t-shirt made just for her, this short sleeve tee is perfect for your mini fashionista. Whether layered or alone, with jeans or a skirt, this t-shirt is soft and pretty yet durable enough to stand up to your toddler's playtime demands. These blank t-shirts are great for crafting, decorating, personalizing or wearing as plain t-shirts. Available in almost 20 different kid pleasing colors including school colors and options for teams, daycares, resorts and more!